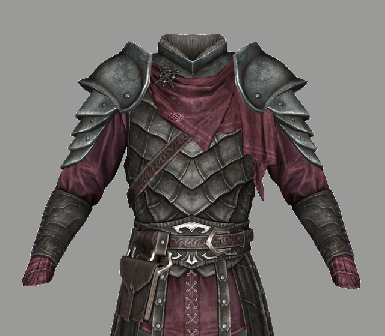 A lore-friendly vampire armor pack. 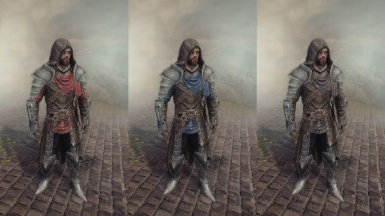 Three standard variations can be crafted at the forge as both heavy and light armor. 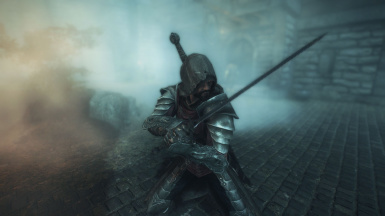 Legendary versions with unique affects can be found in Volkihar Cathedral after confronting Harkon. - You have permission to translate this mod as long as it requires the main English version of the mod. No stand-alone translations. 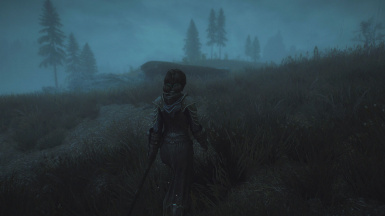 - If you want to use this mod/any parts of this mod for another mod ask me first and we can work something out. Don't re-upload this anywhere or try charging money for it or any scumbag stuff like that. Changed the Abysswalker effect. It still muffles footsteps, but now drains a small portion of health, magicka, and stamina from nearby enemies while in sunlight instead of cancelling out the weakness to sunlight effect. 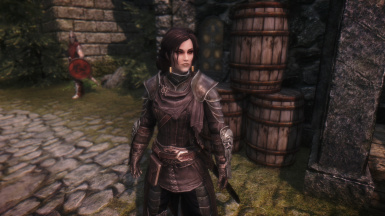 This means the Legendary Abyssawalker set can be used with vampire overhaul mods without a patch. 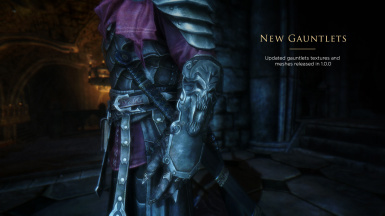 Removed specific patches for Better Vampires and Sacrosanct. The new Abysswalker effect does not change any existing effects or effects modified by vampire overhauls, so it should be compatible with everything. 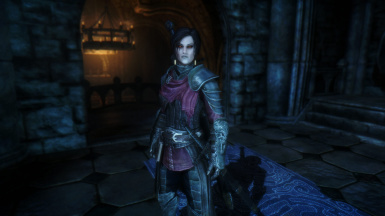 Added unique legendary sets to a chest in Volkihar Keep Cathedral (legendary armor applies the set bonus when 4 pieces are worn). Only appears after you have confronted Harkon in the quest Kindred Judgement. Legendary sets are no longer craftable - there is now only one of each. 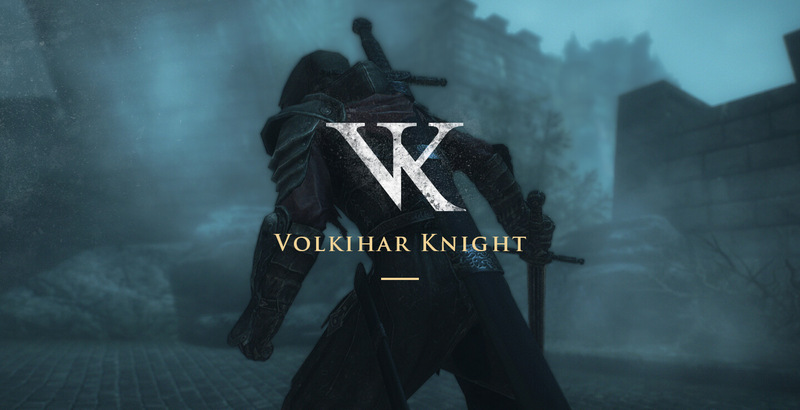 Previously crafted Volkihar Knight armor is now the standard version with no set bonus. Refactored equip script to fix previous issues with equipping and set bonus effects being applied/removed. Removed the fomod installer, it's no longer needed now that the patches are obsolete. versions can be found, each with an effect that is applied once all four pieces are worn. 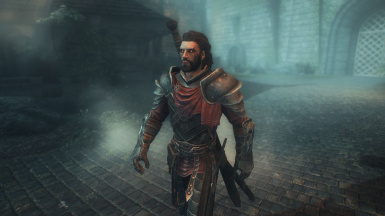 The armor is made with vanilla assets as a base, so it fits into the game seamlessly. The heavy armor is equivalent to the ebony tier, while the light armor is equivalent to glass. Standard versions with no set effects can be crafted with the ebony smithing perk. The hood offers much less protection than a helmet, but is balanced by the other pieces having a higher armor rating. 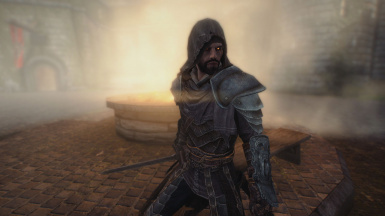 The Legendary armor can be found in the Volkihar Cathedral after you have confronted Harkon in the quest Kindred Judgement. 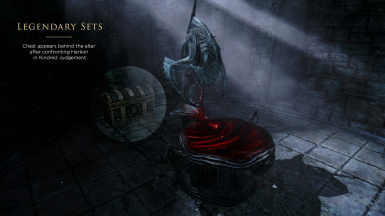 A chest will appear behind the Molag Bal altar as a reward for defeating Harkon and completing the Dawnguard questline. Legendary pieces cannot be crafted, but can be upgraded. Note that you must wear all legendary pieces to get the full set effect – wearing a standard piece doesn't count towards the bonus. 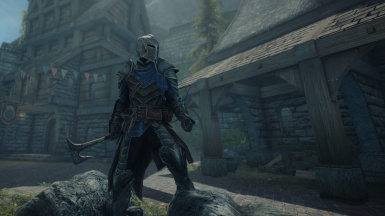 The standard armor can be crafted/upgraded at any time at the forge/workbench if you have the Ebony Smithing perk. 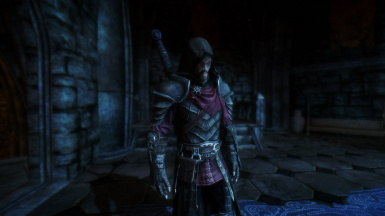 Fully compatible with vampire overhaul mods such as Sacrosanct and Better Vampires. Also tested to be compatible with Castle Volkihar Rebuilt (the legendary armor chest is still placed after improving Volkihar Cathedral). Use your mod manager of choice to install the mod. 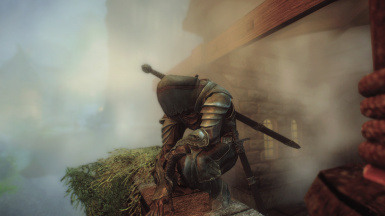 To uninstall, first take off any pieces of the armor, make a new save, then quit the game and uninstall using your mod manager. 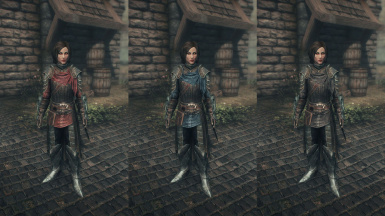 There are now standard craftable armor sets with no bonus effects, and legendary versions that confer a bonus when all pieces are worn. Any previously crafted armor will no longer receive the set bonus - only the legendary sets have the scripted effects. 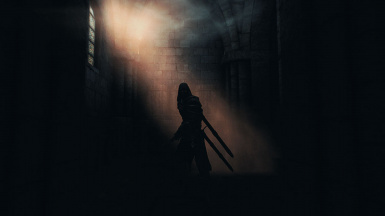 You must visit Volkihar Cathedral after confronting Harkon (the quest Kindred Judgment). There will be a chest behind the Molag Bal altar containing the Legendary Volkihar Knight armor (both heavy and light). If you've previously completed Kindred Judgement the chest will still appear. Legendary armor is unique, you only get one of each piece, they aren't craftable. They're still enchantable and can be upgraded at workbenches though. Light armor is now included in the main plugin, so you no longer need a patch. If you had the light armor patch installed, your armor will change to heavy armor. You will have to craft the armor again, or get the legendary set from the chest. Specific mod patches are no longer needed. I made changes to the Abysswalker effect so that it should now be compatible with all vampire overhauls.